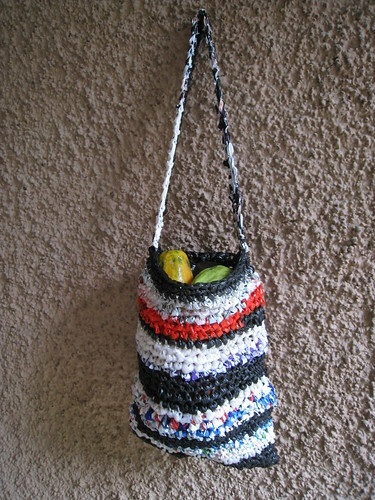 While in India, I have been teaching plastic bag crochet to many different groups of people. 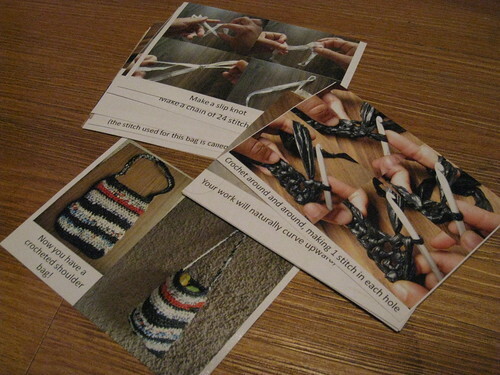 These workshops generated a lot of interest, but patterns have been in high demand. I’m not great at patterns (generally just make stuff up as I go along), but I recently crocheted a shoulder bag from start to finish and tried to document all the steps. Looking For My Old Site?